This RUGGED MOTORIZED BICYCLE looks like something straight out of 'Mad Max: Fury Road.' Perhaps it will make a special appearance in the blockbuster film, which is set to hit theaters next year. Dubbed the Motoped Survival Bike, it looks as though it is made for apocalyptic conditions. It comes with a crossbow, shovel, tomahawk, harpoon, FIXED blade saw, lighting system, carabiners and climbing rope, flashlight, multi-tools and a bike mount for a smartphone, after all. 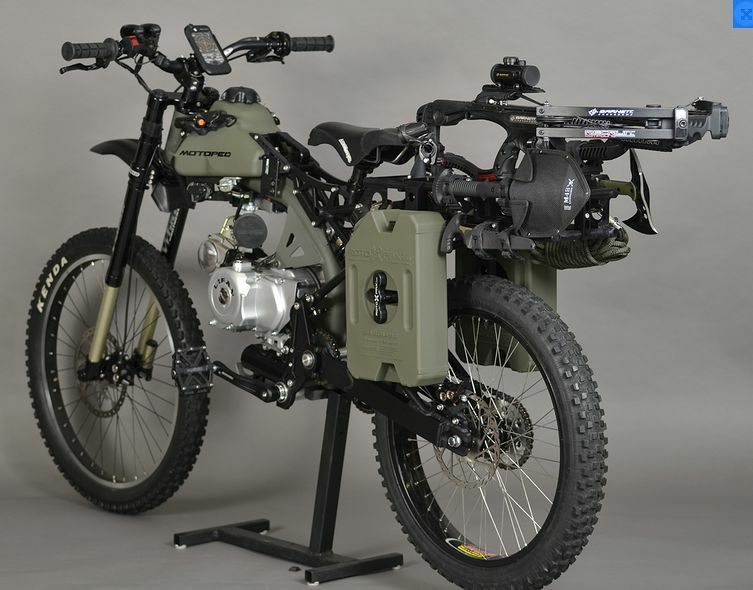 Easily comparable to a full-blown motorcycle, this rugged motorized bicycle is a great hybrid between the two. In a way, the rugged motorized BICYCLE can be seen as the best of two worlds. 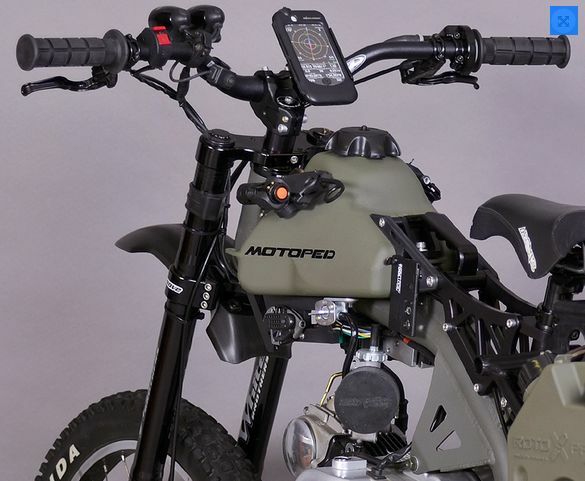 Affordable, FUEL EFFICIENT, environmentally friendly, quiet and requiring minimal maintenance, the Motoped Survival Bike doesn't take much to look and feel as GOOD as it is.